WhatsApp messenger is an application which is available on iPhone, BlackBerry, Android, Windows Phone and Nokia. Using internet, the messages can be sent and received via this application. It also has a feature of using emoticons for text decoration or expressing the message via emoticon. Today, we have displayed the set of emoticons which are available on WhatsApp Application. Checkout and let us know which one is your favorite. 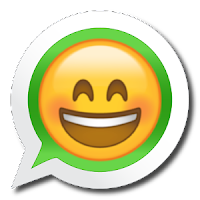 No Comment to " WhatsApp Emoticons for Chat "